The show premium and details will be posted on July 1st, but in the meantime, here are a few links to get you the information you need to plan. This is going to be a memorable event, and you don’t want to miss it! DASC Championship Flyer 2017 – save the date! We can’t stress strongly enough, the need for volunteers to make this show GO! Here are a few of the areas where we need YOU!! 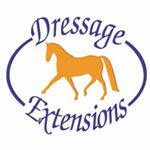 to volunteer, drop a note to office@socaldressage.com!